Return from Giulino to the Strada Regina and continue north. You soon reach the nearby town of Tremezzo. Tremezzo is located between the Dosso di Lavedo headland and Menaggio and it is blessed with a mild climate, thanks to the mountain chain that protects it from masses of cold air. 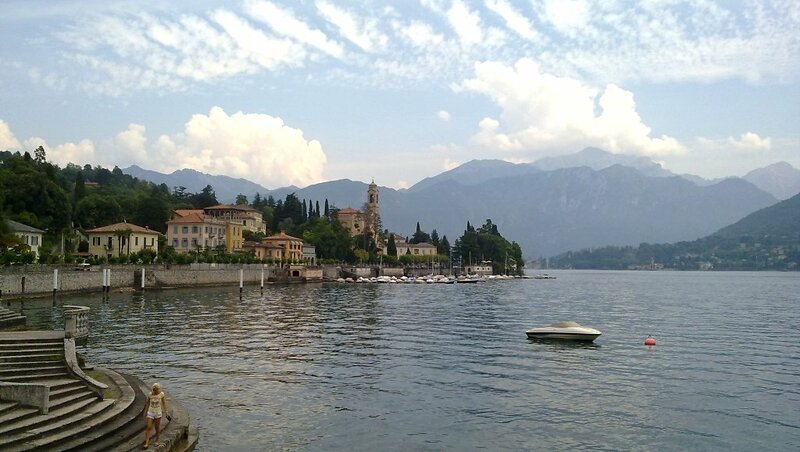 The town lies in fact at the very heart of a celebrated part of the lake, called Tremezzina, and it is one of Lake Como's most prominent tourist resorts. Guests have included such famous figures as Giuseppe Verdi, Queen Victoria of England and the German Chancellor Konrad Adenauer. Its origins date back to Roman times but the town was totally destroyed in 1169 by warriors from Como, to punish it for supporting Milan in the medieval struggles between the two cities. The Grand Hotel Tremezzo, fronting the lake, was built in 1910 and is renowned for its splendid belle époque architecture.